First Comes Love - Honey, Did you Mow the Lawn? Honey, Did You Mow the Lawn? 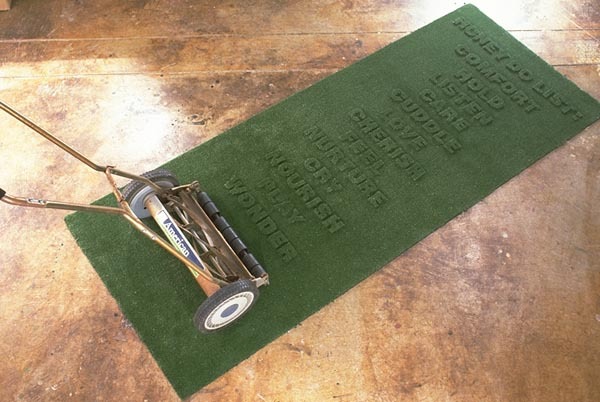 An old hand lawn mower stands at the base of a carpet of astroturf. The artificial lawn is clipped and manicured with a Honey Do List. This list records the things women are really asking from men underneath the nagging. 46" x 93" x 36"